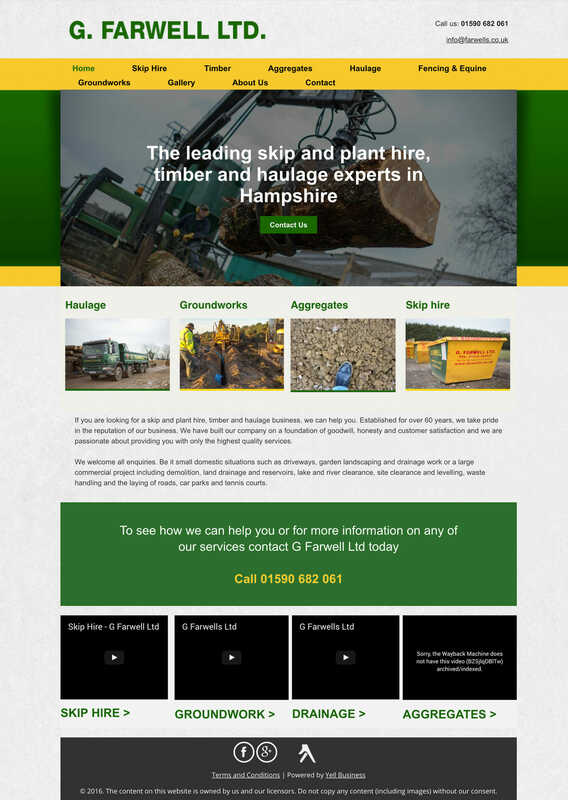 Farwell’s had always relied on Yell.com to manage their website and enquiries. Realising they weren’t receiving value for money they contacted us. 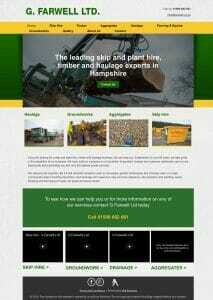 They preferred to work with a local business who could provide one-to-one website management. 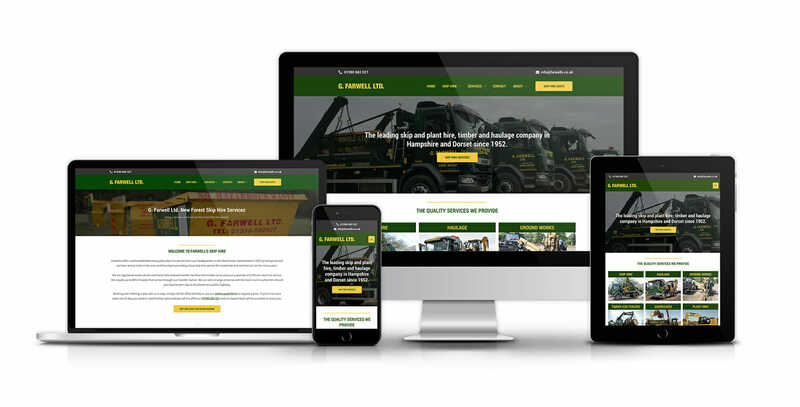 It was clear the new website had to be highly optimised for conversion rates, especially the skip hire side of the business. Using Gravity Forms we made it very easy for customers to request a skip hire quote, automatically sending the office staff details of the skip size required and customers address. 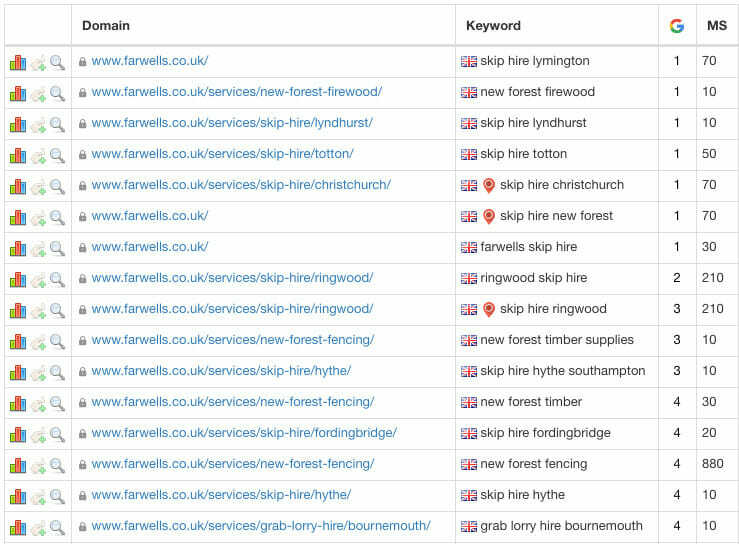 We also built multiple skip hire pages which rank highly across several large locations, helping to increase organic enquiries and grow the business. Lindsay Farwell - Owner at G. Farwell Ltd.